Air Master Technologies Inc. : Serving Salisbury : Heating and Air Conditioning repair, service, and installation : Salisbury, China Grove, Landis, Granite Quarry, Faith, Rockwell, Kannapolis, Concord, Rowan County, Cabarrus County. Air Master Technologies Inc. provides the highest quality services, air conditioning systems and professional installations in Salisbury. 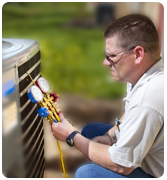 Air Master Technologies Inc. provides the highest quality services, heating systems and professional installations. Air Master Technologies Inc. is proud to provide heating and air conditioning installation, repair, and services in Salisbury. Salisbury is located nearby and has old and new residential homes, commercial and industrial buildings. Building styles include ranch, colonial, gambrel, modern, condo and custom. We provide our Salisbury customers with expert and economical services such as repairs, updates, system replacements, modernization, saving money, adding heating capacity, adding cooling capacity and meeting local codes. Air Master Technologies Inc. is here to help you! Let Air Master Technologies Inc. help you with your heating and air conditioning problems, and discover the difference for yourself. Let Air Master Technologies Inc. be 'Your Heating & Air Conditioning Company' and let us treat your home like ours. Call today: (704) 637-7777. Whether it's a service call, replacing a system or a seasonal tune-up, all of our services are provided by skilled, reliable technicians. Add in extras, like a 7-day service hot-line, service on all makes and models, seasonal tune ups, 10-year warranties on same day system replacements, and free energy surveys, and it's easy to see why so many people find comfort in a friend like Air Master Technologies Inc.! Our expert technicians will perform to your satisfaction, and that promise is backed by one of the best guarantees in the business. Air Master Technologies Inc. is a locally owned and operated heating and air conditioning service company in Salisbury, which means that you get the assurance and the relationship of a local business. Let Air Master Technologies Inc. help you with your heating and air conditioning problems, and discover the difference for yourself. Let Air Master Technologies Inc. be 'Your Heating & Air Conditioning Company™' and let us treat your home like ours!